Equipping students with skills to work in diverse environments and handle dynamic situations is becoming increasingly important. In a world that needs people with global exposure who can handle any VUCA -volatile, uncertain, complex and ambiguous - environment, future orientation can make all the difference between a good manager and a great manager. And odd as it may sound, it is two of India's oldest B-schools that are taking the lead in helping students hone this skill. Indian Institute of Management, Calcutta (IIM-C), and Xavier School of Management (XLRI), have come out trumps in this year's Business Today-MDRA Best B-School rankings on this parameter. IIM-C has been around for 55 years while XLRI was founded in 1949. Both have invested a lot in providing students global exposure and creating managers for tomorrow. The former involves student/faculty exchange programmes and international accreditations, while the latter is largely about training students to manage businesses in a globalised environment. The other B-schools, too, are catching up, and fast. In fact, all top B-schools are now seeing merit in giving students global exposure. "Over the past one year, we have given far more thrust on internationalisation," says Uttam K. Sarkar, Professor and Dean, New Initiatives and External Relations, IIM-C. Last April, he says, IIM-C became the only Indian B-school to get "triple-crowned" - it got the EQUIS accreditation from EFMD, a membership organisation of B-schools and companies that is based in Brussels, Belgium. Its earlier two international accreditations are from the Association to Advance Collegiate Schools of Business, or AACSB, based in Tampa, Florida, and AMBA, short for the Association of MBAs, based in London. These accreditations are a proof of high quality on some key parameters. 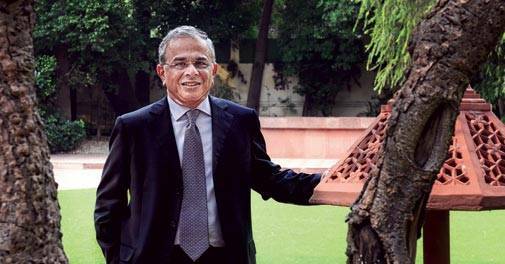 Accreditations, says Ajit Rangnekar, the former dean of Indian School of Business (ISB), have two dimensions. "First, they help you define processes and get your house in order. Second, they give an added level of comfort to recruiters about the school's quality systems and, thereby, help the students in international placements." He says the AACSB accreditation that ISB got in 2011 "helped the school get unanimity on its mission and define and achieve learning goals". That is why other B-schools are also chasing international accreditations. Pointing out that Management Development Institute, Gurgaon, was one of the first B-schools in the country to get an AMBA accreditation (in 2006), Kanwal Kapil, Associate Professor of Marketing and Chairperson, Placements, says the school is pursuing a triple crown. At present, it is working on an AACSB accreditation which, he says, "we are hopeful of getting in another two years or so as against the five to seven years it normally takes." Simultaneously, the school plans to submit itself for an Equis accreditation. he others are not far behind. IIM-Indore, for instance, is keenly pursuing AACSB accreditation. Aktar Parvez, the spokesperson, says, "We are at an advanced stage. The process had started four years ago." Sarkar says IIM-C is the only Indian B-school that is a member of CEMS, an alliance of about 30 global business schools, some multinational corporations and NGOs. "The idea behind the association is to give students world-class exposure and true international education. Students selected for CEMS MIM (Masters in International Management) get two degrees - one from IIM-C for the flagship MBA programme and the other from CEMS. At present, there are 19 such students," he says. To him, true internationalisation involves a lot of cross-cultural learning and working. "If you visit our campus, you will find 100-plus international students." "Accreditations help you define processes and get your house in order. They also give an added level of comfort to recruiters about the school's quality systems"
But does this help students? Definitely, say B-schools. "The focus today is on giving students exposure to the global scenario. 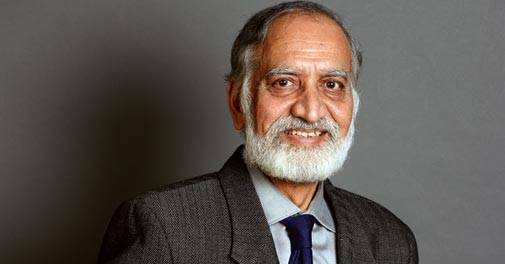 That is necessary as well as positive as a lot of businesses are becoming global in more ways than one," says Kiran Karnik, the former president of Nasscom, an IIM-A alumnus who sits on the institute's board. He says it is important to remember that you have global competitors even if you do not have presence in global markets. "Also, more and more companies now want talent from all over the globe. Therefore, working in an inter-cultural situation and understanding global markets are becoming important," he says. This means demand for candidates with global exposure, either through international internships or presence of foreign students and faculty on the campus. "This makes students relevant for the global market. It works for foreign students, too. In the first five-six years of your career, you are expected to have exposure to either India or China, as these are seen as markets of the future and culturally different from the West," says Karnik. XLRI-Jamshedpur went a step ahead this year and included "nurturing responsible global leaders" as a key element in its vision statement. It also has a fair share of international accreditations. In fact, its flagship management and doctoral programmes are accredited by AACSB International (The Association to Advance Collegiate Schools of Business). It received the AMBA accreditation in 2015. When asked about the new initiatives, Sunil Varughese, Chief Brand and Sustainability Officer at XLRI, says, "Periodic workshops are held for faculty development. For example, in June this year, XLRI and Cornell University organised a joint workshop on Research Quality, Research Productivity and Inductive Qualitative Methodology for Management Researchers in India." ISB's Rangnekar says institutions aspiring to place their students into the global arena must have faculty or students or curriculum, or ideally all three, in the international space. "The focus today is on giving students exposure to the global scenario. That is necessary as well as positive"
IIM Bangalore has approached the issue from another dimension. In April, it launched an initiative called Ind-IB for providing doctoral students and faculty the opportunity to gain in-depth understanding of key International Business (IB) theories and frameworks, creating research linkages with IB scholars across India, and developing IB research agenda with the mentorship of senior academics whose works have been published in international journals. S. Raghunath, Professor, Corporate Strategy & Policy at IIM-B, who is involved with the initiative, says, "It offers an opportunity to develop a deeper insight into the field of IB while creating collegial networks within the IB community that offer potential for productive research collaborations." In spite of all this, future orientation and internationalisation involve several challenges. First, getting full-time foreign faculty is expensive. Second, international students have high expectations about infrastructure and cuisine compared to what is available today. Third, the schools have to introduce as many international case studies and examples as possible, which is not easy in the Indian context.